Mitsubishi Repair in Orlando | C & G Auto Center Inc. 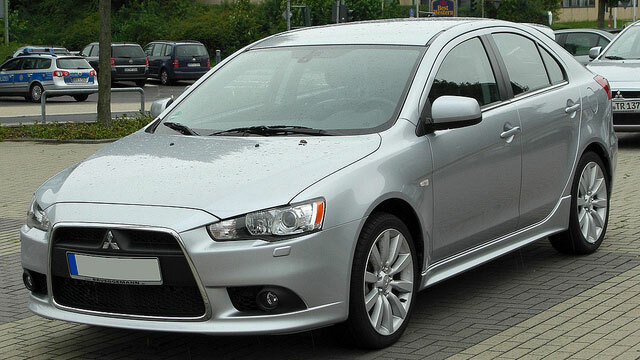 The highly trained and skilled auto mechanics at C & G Auto Center would love to work on your Mitsubishi. Our auto repair shop services Orlando, Davenport, and beyond. We have all the right education and equipment to properly diagnose and repair any issue your Mitsubishi might be experiencing. Every technician here has extensive experience and you can count on the C & G team to deliver nothing short of stellar service to you and your Mitsubishi. C & G Auto Center is built on family values and approaches each customer interaction with the utmost professionalism and friendliness. We know that every good relationship begins with trust and that’s why we offer digital inspections and a 24 months/24K-miles warranty to begin to build that foundation. It is our goal to not only meet, but to exceed, your expectations of what an auto repair shop SHOULD be like. We take care of our staff like family, even the ones who aren’t blood related. That’s also how we like to care for our customers and our communities of Orlando, Davenport, and Winter Park. “Great place, prompt service, reliable work, clean waiting room and friendly people. I recommend C & G they are up front about your cars needs and have programs to help you with the cost of the work.” -- Monique G.
You can trust the auto mechanics at C & G Auto Center to take good care of the Mitsubishis in Orlando, Davenport, and beyond. You can also trust us to care for each individual customer, always putting your safety first. Integrity matters and so do you. We look forward to seeing you and your Mitsubishi soon! Schedule an appointment today, or stop by. C & G Auto Center is located at 4155 W. Oak Ridge Rd., Orlando FL.